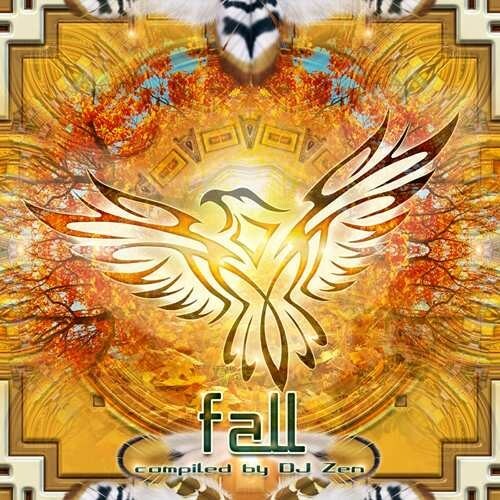 DJ Zen presents: "Fall" (the new Altar Records compilation). They say there’s a song for every season, and a season for every song. And our musical choices, while influenced by the weather, also become the soundtrack and help define how we live each moment. With that in mind, Altar Records label chief DJ Zen has been tuning into the elements of each season and crafting a special release of Psychill for each one. Following the success of 'Spring' and ‘Summer’, he’s ready to present a celebration of the Autumn season with the release of ‘Fall’. After a summer blessed by the sun, and amazing festivals where we danced half naked under blue skies, there’s a certain nostalgia in the air. Suddenly, we’re more in touch with our feelings. The grass is fading, and the winds have shifted…birds call out as they make their yearly migration south. And the nights are cooler, and arrive too soon. But the light at the end of the day is glorious, with sunsets full of rich orange colours, long shadows, and piercing azure blues that reach up into the twilight. It’s a time of transition; it’s a time of emotions; a time of letting go, and (like the bears in their den) getting ready to go inside, to get cozy cocooning - alone, or with friends. At this crossroads, DJ Zen has compiled some very special music for your listening pleasure. Like a hot cup of chai, these are tunes to keep your heart warm, and your thoughts happy! Featuring 13 exclusive tracks from renowned Psychill masters such as Asura, Elea & Bahramji, AstroPilot, Alwoods, Tentura, E-Mantra, Azriel, Mindphoria and more. Autumn is an amazing time of year, full of transitions, and this release is the perfect soundtrack for tuning into your inner bliss. Enjoy!